If you’re a parent or child of the ’80s, you’re likely familiar with the brightly colored Speak & Spell and the metallic, metronomic voice it produced. But when it debuted in 1978, few could have predicted that the hardware inside that plastic icon would forever change the landscape of technology and communication. “We had created the first single-chip digital signal processing (DSP) device,” says Gene Frantz ’71, one of the four original designers of the Speak & Spell from Texas Instruments. The discovery of DSP allowed researchers to study signal processing in real time with no perceived delay between the input and output of a signal. In short, they could convert information from analog to digital — and back to analog — almost instantly. After being converted to digital and compressed, data was placed on an integrated circuit with 128 kilobits (16 kilobytes) of memory — state of the art considering 4 kilobits was standard, but a far cry from today’s gigabyte lifestyle. Whenever the Speak & Spell chose a new word, the information was pulled from the memory and sent to the synthesizer, which recreated the sounds for the user. 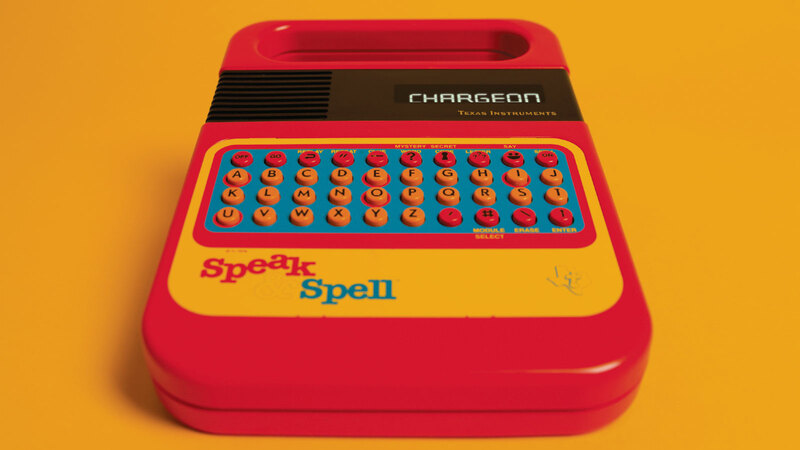 While the cherry-red case of the Speak & Spell caught people’s eye, it was the interactive educational experience that captivated their attention. Using the rote method of learning, the toy taught users to spell words that didn’t follow traditional spelling rules. The 250-word list included “echo,” “beauty,” “courage” and “rhythm” — Frantz’s personal favorite.